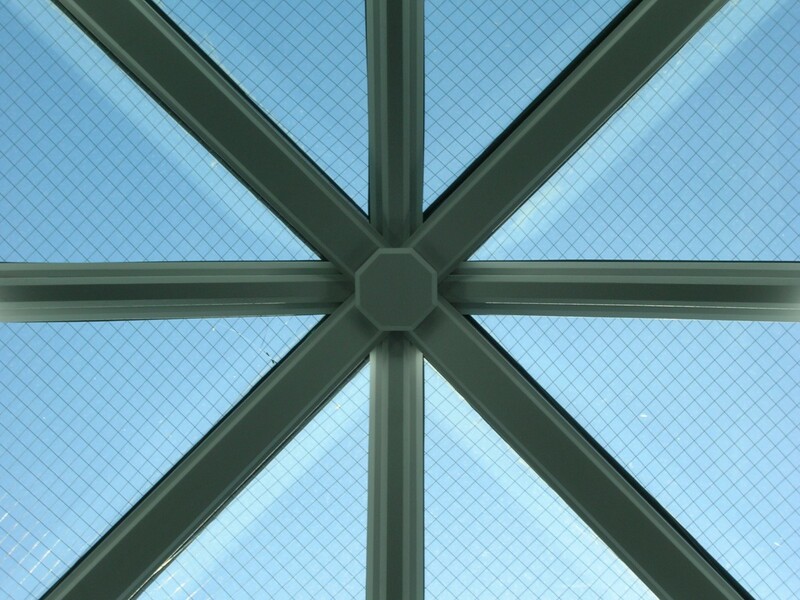 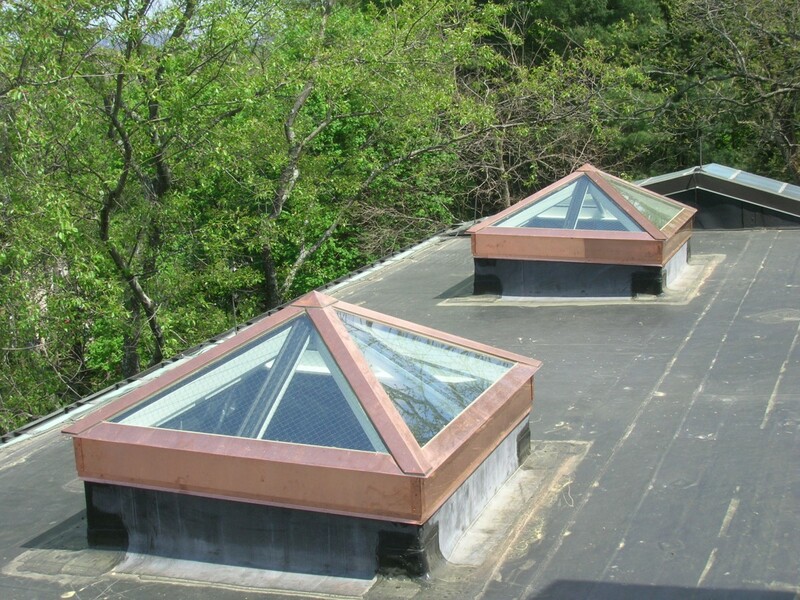 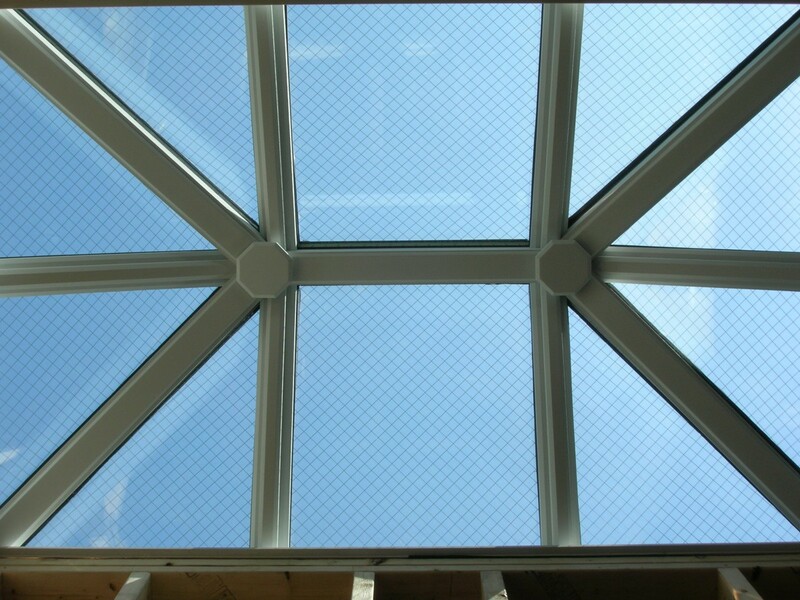 These pyramid and hip skylights are chamfered molded kiln dried select Mahogany framing, primed white for field finish by others, with 16 oz. 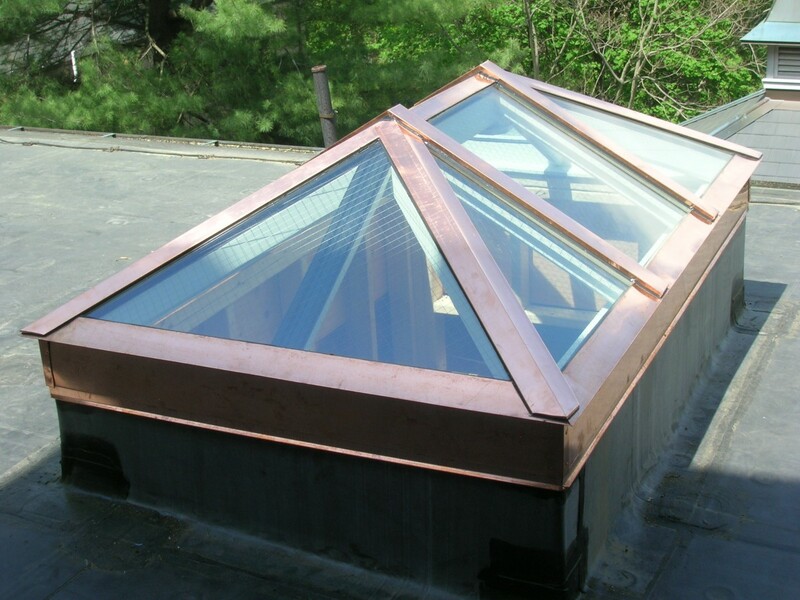 bright copper preformed brake metal and 1″ overall Low E, argon wired glass. Fabricated and installed by Glass House, LLC for a historic home in Newton, MA.